About Us | Panache Design Studio | Architecture & Interiors Design | Chennai | Thanjavur | Taminadu - India. Panache Design Studio aims at providing an appropriate design solution for each project as we understand that each client and each project is unique. A holistic, tailor made approach, ensures in achieving the desired outcome, keeping in mind the client and the projects distinctive requirements. Headed by Ar. 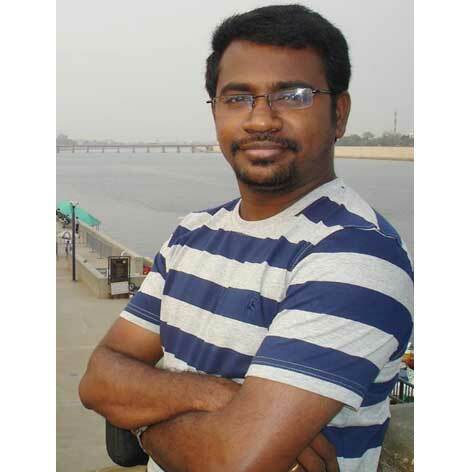 Balakrishnan Vijayaraghavan the firm was founded in 2009, in Chennai/Tanjore - India. On Completing his architecture studies, he went on to do his masters in constructions management from Loughborough University, UK. Light, Geometrical forms and natural material are key points in his style. The firm also believes in minimalistic style, which gives the output of elegant simplicity with taste. © 2018 Panache' Design Studio.